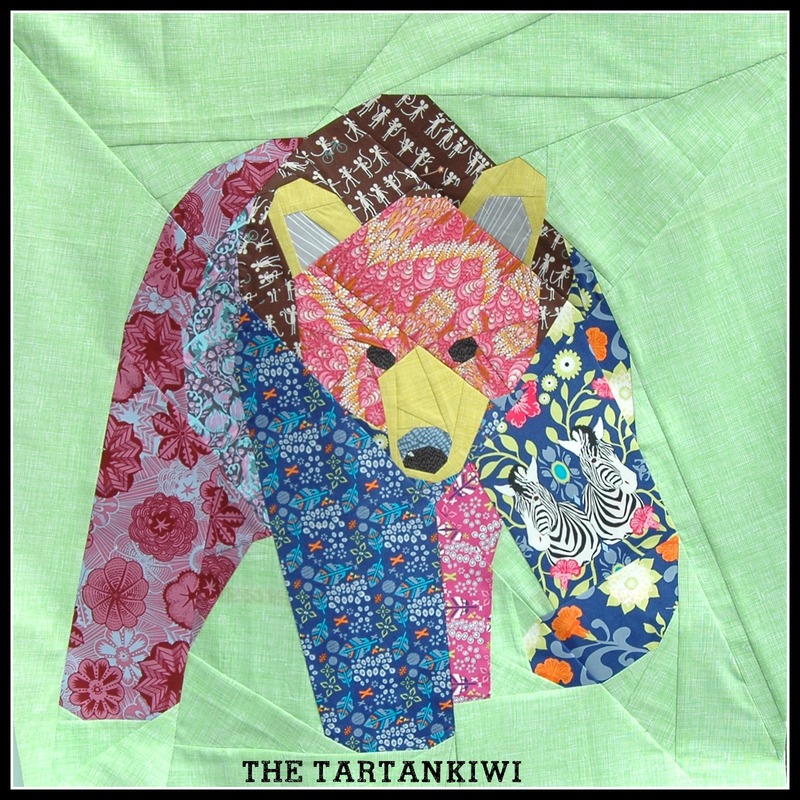 At times over the last few months I have thought that this day would never come, but I am super excited to tell you that the Big Bear pattern is now finally available from my etsy and payhip stores. Three talented testers helped me to get the pattern this far. I loved seeing the photos of their work popping up on my instagram feed and realising that my crazy supersized the pattern really did work. Amy was the first person to finish the pattern. She used Pat Bravo's Carnaby Street fabrics. Her bear is a pretty funky bear don't you think!? 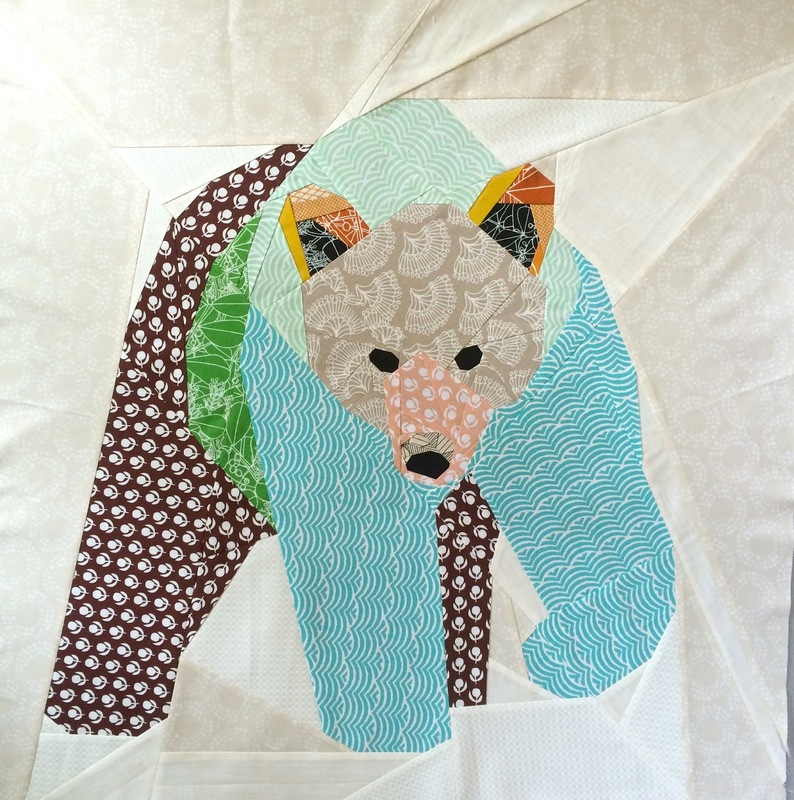 I was the next one to sew big bear. I threw together an eclectic mix of Tula Pink, Frances Newcombe, Anna Maria Horner and Sketch fabrics. I had lots of fun choosing the fabrics and took full advantage of the possibility to fussy cut that this big pattern afforded me. He's very different to everything that I've sewn before but I love him. 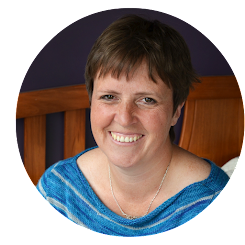 There is nothing quite like breaking your own self imposed and breaking out of the mould. 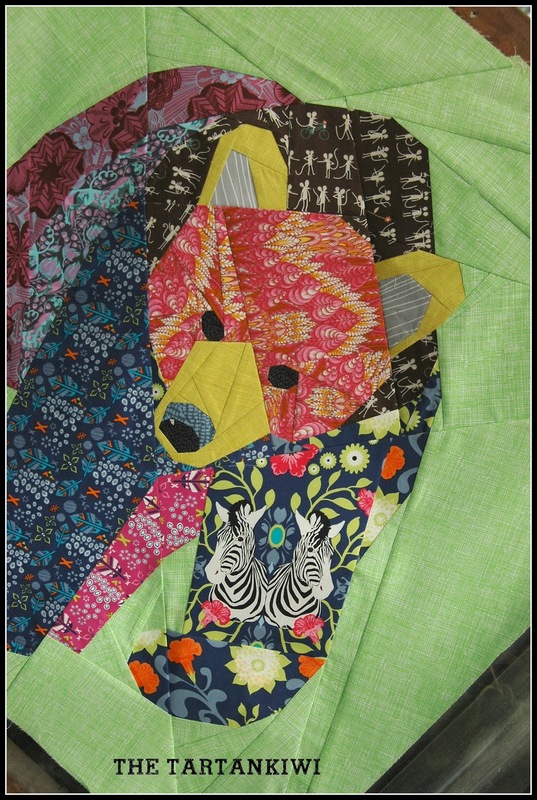 Michelle chose to use her precious Umbrella prints fabrics for her bear. After the loud and fun fabrics used by myself and Amy, it was great to see how well the pattern works with a more subdued colour pallet. 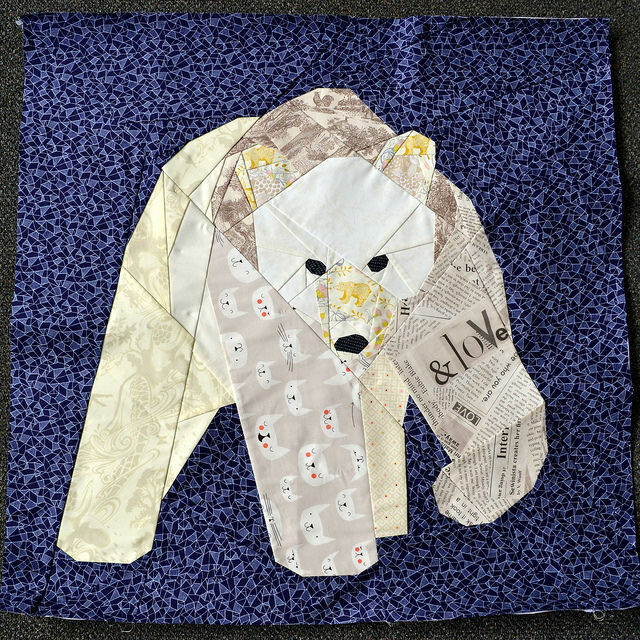 The final tester to have a go at the bear pattern was Adrianne, she had the great idea to turn the bear into a polar bear by using a combination of low volume fabrics. It was no mean feat to create a bear where all the features can easily be recognised, but I think Adrianne pulled it off amazingly well. Each one of these talented sewist contributed to the pattern in a meaningful way and I really can't thank them enough. Make sure you go and visit their blogs and tell them how awesome they are. Absolutely amazing pattern and I am so happy I got to test it!! I love how different they all are - he sure is versatile!! Well done Juliet - congratulations on another fabulous design. I love all the versions but the polar bear is particularly inventive! Wonderful block! Now to get around to sewing it. Amazing Amazing Amazing !! !! !! Thiis pattern was on my new years list but its not available anymore? Please let me know where I can find it? I think first I'll tell you how awesome you are! This pattern is the "bomb diggity"!! I don't remember which childhood friend I'm quoting here, but I thought their expression covered my reaction well. Sometimes you need a word that goes past great. Stupendous seems a little overused, but it will do as well. 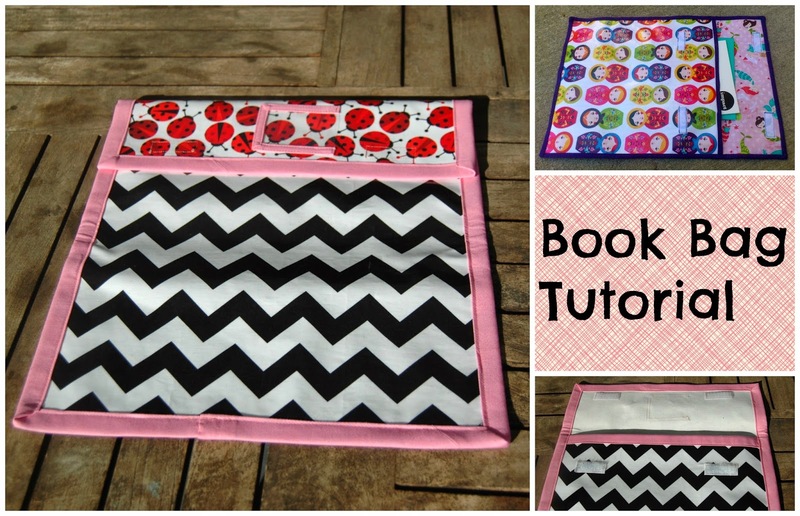 Your stupendous pattern is the bomb diggity! I love it!